This sunset hot air balloon flight season has been a fun one full of smiles, laughs and incredible memories made up, up and away together. We can’t thank you enough for choosing to share your bucket list adventure with us! 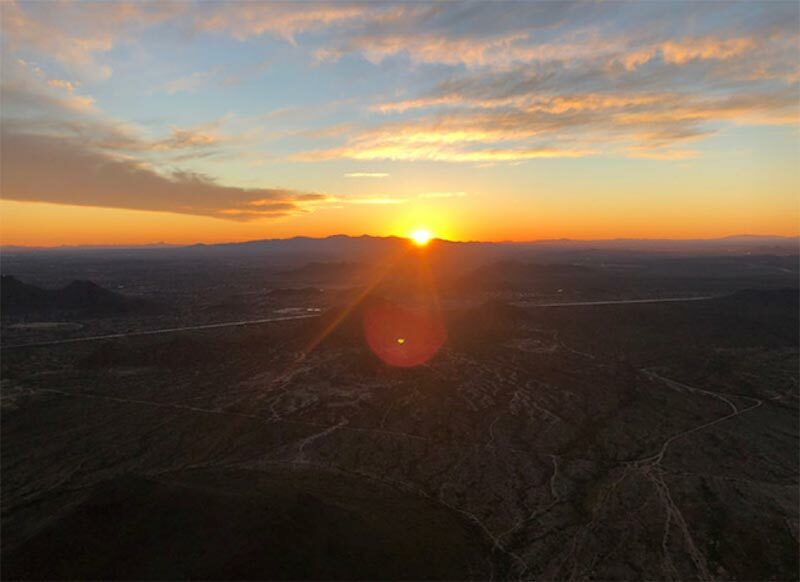 Though we love our seasonal sunset balloon rides, the 2018-19 sunset flight season will come to a close as of Tuesday, March 26th due to increasingly warm temperatures, which cause weather instability. Not to worry, these beauties will return with the cooler weather in November! In the meantime, reminisce on the season with us. Here are some of our favorite sunset balloon ride photos from the 2018-19 sunset flight season, enjoy!